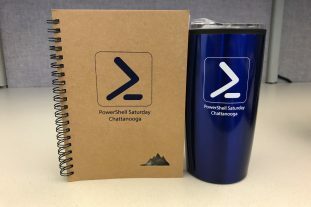 PowerShell on the River organizers will not share contact information of our attendees to any sponsor for any reason. As a sponsor however we will provide you space to set up a mini display and you are welcome to connect with our participates throughout the day and we encourage you to collect their business cards (for the raffle! See below). Bronze, Silver, Gold, and Diamond sponsors will be provided one 4-6 foot table with 2 chairs in the common area to set up your display. We will be raffling off door prizes at the end of each day (Friday and Saturday). Door prizes range in value from $25 – $500. All sponsors are welcome to provide 1 item (suggest value of $100-$200 i.e. amazon gift card) to be added to the general raffle prizes. Silver, Gold and Diamond sponsors may also provide 1 raffle item to give away themselves through the names that you collect throughout the day. Are you interested in becoming one of our great sponsors? Contact us below for more information.